Sewer TourJanuary 10, 2019, 4 p.m.
During king Ludwig II. 's reign sanitary conditions in Munich and other Bavarian cities improved dramatically. The introduction of an advanced sewer system following English models was of central importance. 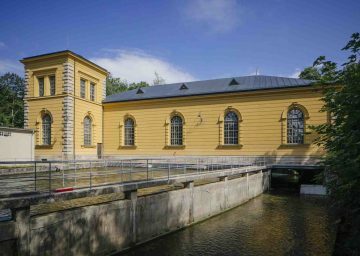 Benjamin Tax of the Municipal Sewage Works of the City of Munich will provide an unusual glimpse into the early excavation of Munich's underground. The tour will enter the system through two "visitor entrances" that were built during Ludwig's reign.